Fear of entertaining seems to be an issue that's not so uncommon. I talk to many people who have told me they have never welcomed guests in their home. 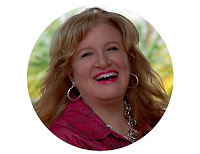 Some want their domain to be strictly a private refuge, others don't know where to begin and feel inadequate when it comes to inviting people over. 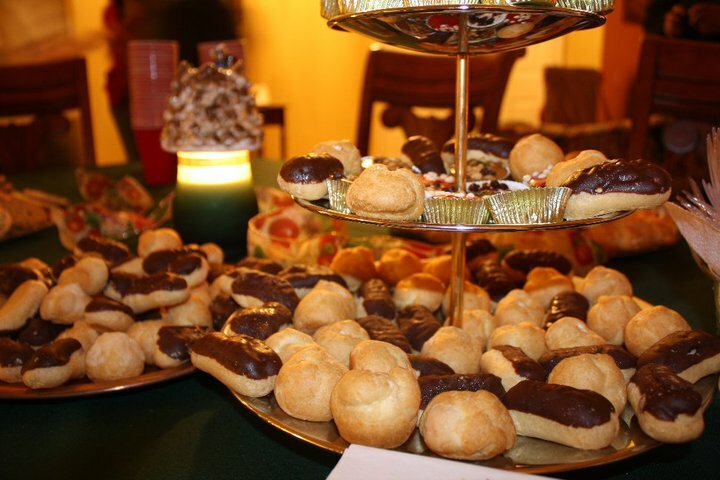 Dessert table at our leadership Christmas party at our home last year. We welcome people into our home often, in fact tonight the Celebration women will be coming to our home and Sunday night we're having all of the newcomers over. We usually invite anyone who is new to the church over every other month, and have a "getting to know you" time. It's not uncommon for us to have anywhere from one or two people to 70 people at the house. A few New Year's Eve's ago, we had over 100 people here. It was organized chaos! 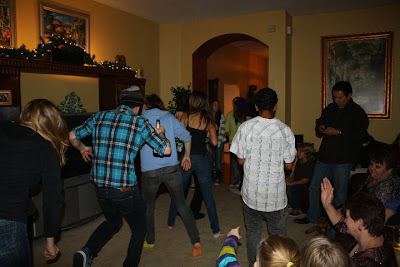 Some of the kids dancing on New Year's Eve last year in our family room. I'm doing this tonight. In years gone by, I might have made all of the food for this evening's gathering and spent a lot of time doing things that took a lot of work, like a 5 layer dessert, or a three to five course dinner, all made by me. Honestly, I don't have time for that right now. I'm working multiple jobs. But I really want to spend time with the women. Rather than say, "I don't have time to get things ready to spend time with the ladies," I simply ask them to help me. I've asked everyone to bring a dish to share tonight. I am providing all of the drinks (simple: only purchases involved except for my iced tea which they LOVE.) and also a very simple appetizer when the early birds arrive. One of my favorite things is chilled red pepper jelly and cream cheese on a cracker. That takes all of two seconds to make and will be ready when everyone gets there. Other than that I will have no personal food prep for tonight. Everything doesn't have to be china and stemware to be special. Friends will be so glad you invited them in, and aren't concerned about whether they are eating off of Noritake or Chinet. Incidentally, I'm using all paper products tonight, except for the hot drinks. 3) Enlist your family's help with cleaning. When we're having a party at our house, everyone helps to get the house ready. At times it even gives us an "excuse" to do special jobs we don't always do. Happy entertaining! You can do it!